WASHINGTON -- Pardon the pun, but we couldn't help it. 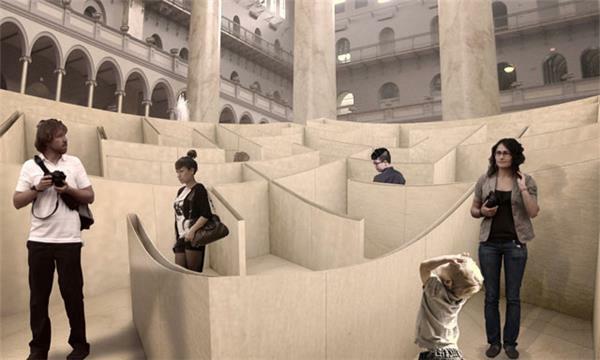 A giant maze is coming to the National Building Museum! It will be 18 feet tall, and 61 feet by 61 feet wide. The plywood structure will feature twists and turns for visitors to meander through on the ground floor, while providing an aerial view of the structure from the second floor. 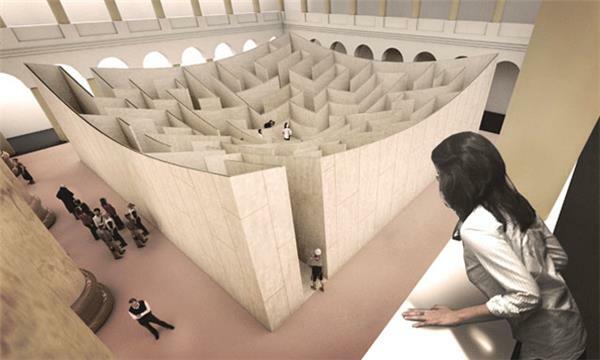 This project is being constructed in partnership with the BIG-Bjarke Ingels Group, who was inspired by "ancient labyrinths, garden and hedge mazes of 17th and 18th-century Europe, and modern American corn mazes."